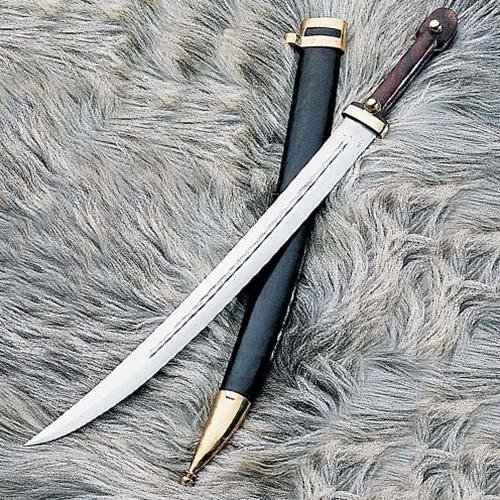 GlobalReplicas.com online sword shop offers a wide range of products, not only swords, also firearms and other cold steel – each our replica of weapons is made with due diligence for the smallest details, copied exactly from the original artefact. If you want to buy a melee weapon, we highly recommend you the Viking sword. Moreover, some of our weapons can be used during the trainings, for example, the Roman sword which was used by the legionaries and gladiators in ancient times or other glorious and very popular samurai sword also known as katana sword - Japanese sword which was the samurais’ favourite weapon. 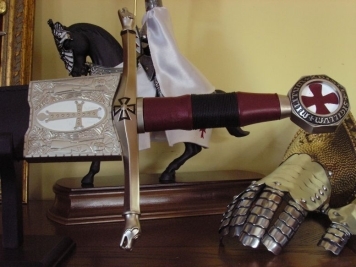 Furthermore, we recommend templar swords – specially chosen models which were made with due diligence for the smallest details, they just look like the original swords. Each sword in our store is a high quality replica which provides that every collector will be satisfied. 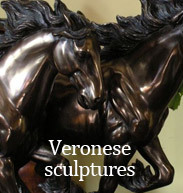 Moreover, well made and exposed replica is also a beautiful and unique decoration of the room. You can easily display our swords replicas with special hangers, hooks, racks and decorative boards which all are available in our store. Our swords are also a great idea for an original gift. Globlareplicas.com offers also great reproductions of shields and armour of any kind. In our store you can find armour and shield that was used by Romans, Greeks and Templars. 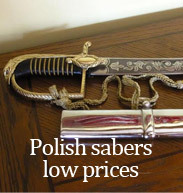 Each replica is a high quality product – a real treat for collectors and lovers of historical weapons. Thinking about enthusiasts of firearms, we offer among others: handguns, shotguns, rifles, including the popular flintloc pistol. This replica becomes an amazing and unique decoration of every room if only you display it properly. In our store you can find great presents for everyone. Our offer is constantly enriched with new replicas, thus your collection will grow in strength delighting you with pride. - Until now, the oldest found Viking swords come from the seventh century AD. They helped the warriors of the North in their expansion, because they were really excellent weapons. The finest exemplars carry the name ULFBERHT, which may have been a kind of a brand. They were not only very effective, but amazingly ornamented as well. Our replicas of Viking swords are perfect both for historical reenactment and for decorative purposes. - The Knights Templar were one of the most powerful religious orders in the past and even the French king had to take them into account. In the heyday of this Order, the brothers knights not only took part in the Crusades, but also protected pilgrims in the Holy Land and defended the places worshipped by Christians. One of the main weapons of the Knights Templar was a famous sword, which carried a symbol of the Order on its blade.